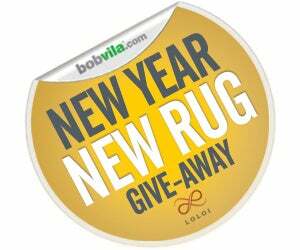 Enter Bob Vila’s New Year, New Rug Give-Away TODAY! Enter today and every day in January to be among the ten winners to get the rug of their choice from Loloi! 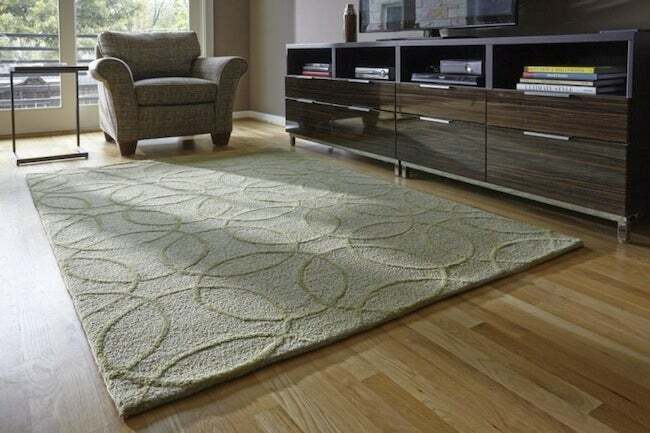 Everyone knows that an eye-catching rug can make or break a room, anchoring the space and giving it focus. It can make a color palette coalesce or even establish a dominant hue. Plus—in addition to adding warmth and beauty—the right floor covering can serve up supreme comfort underfoot. That’s why we teamed up with our friends at Loloi Rugs—well-known manufacturers and distributors of quality, handmade rugs—to bring you this month’s “New Year, New Rug” Give-Away. Enter now and you could be among the ten lucky people to win the rug of their choice! Founded in 2004, Loloi Rugs has become a fashion leader, specializing in medium- to high-end area rugs in every style category. Under the expert direction of area rug veteran Amir Loloi, the company has won ARTS Awards for “Best Rug Manufacturer”, “Best Outdoor Rug Manufacturer”, and “Best Green Manufacturer”. Its six America’s Magnificent Carpets Awards and three Atlanta Visual Display Awards for sophisticated showroom design attest to the company’s commitment to innovation and quality. The “Bob Vila’s New Year – New Rug Give-Away” is open only to permanent legal U.S. residents of the 48 contiguous states and the District of Columbia; residents of Alaska and Hawaii are not eligible. Void in all other geographic locations. No purchase necessary. Void where prohibited. Contest Period runs from 12:00 p.m. (EST) Thursday, January 2nd, 2014 through 11:59 a.m. (EST) Friday, January 31st, 2014. One entry per household per day on BobVila.com. Alternative means of entry for Drawing is available by faxing your name and address to 508-437-8486 during the applicable Entry Period. Odds of winning depend on the number of eligible entries received. See Official Rules.